Freaky, right? Well, don’t get frightened! Some ghosts are actually pretty friendly. They’re more of a mischievous little helper than a malevolent being. We imagine having one of those types of ghosts follow you around is actually rather helpful. 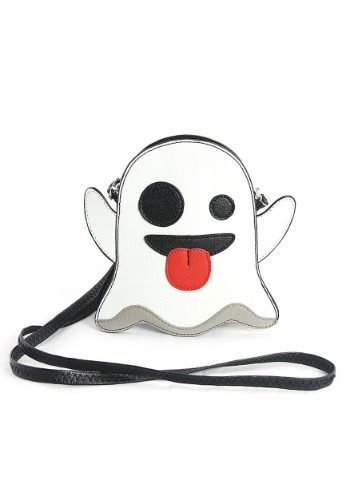 It’s probably something like having this cute Ghost Crossbody bag as your main purse! This cute bag is designed to give you a haunted appearance! The bag is shaped like a little ghost! It has an adorable face that’s sticking its tongue out on the side and he even has a pair of little arms poking out of the side of him. Just toss it around your shoulder and it’s almost like you’re being haunting by a helpful little apparition! 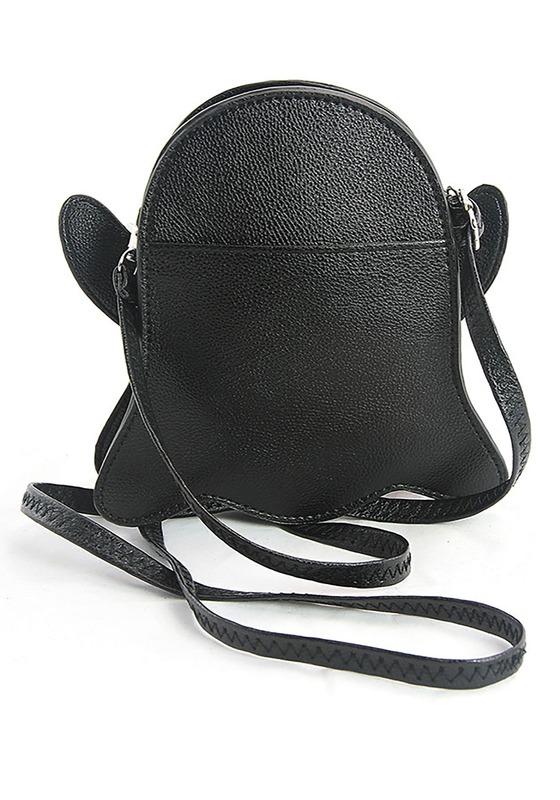 This ghost purse looks great paired with many of our different ghost costumes. It’s almost like you have your own little ghost BFF to bring with you to any costume party!